Get stopped right in your tracks with this fluorescent red label material! 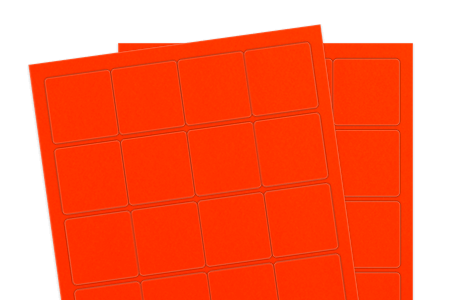 Great for notification labeling, warning labeling, warehouse labeling and medical labeling, the red color is so vibrant that it clearly states the purpose of your product or item. Count on this label to stand out among the rest!